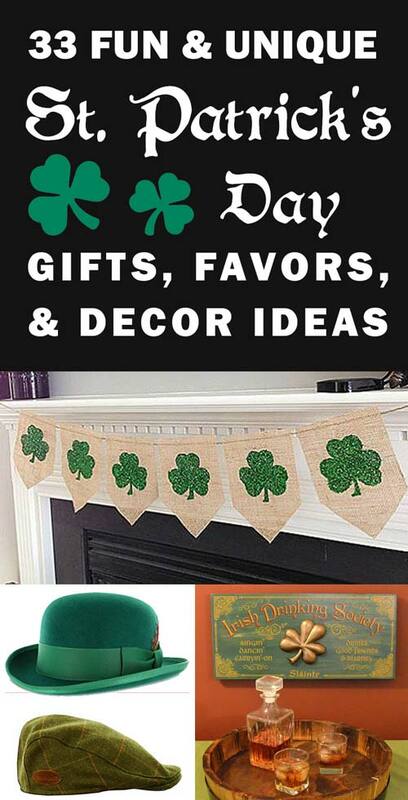 This is a list of the 33 best St. Patrick’s Day gifts, favors, decor ideas, and more. Why thirty-three? Well, in Celtic lore, three is a lucky number. You know, the Trinity, clovers, Celtic knots in triplicate, etc. 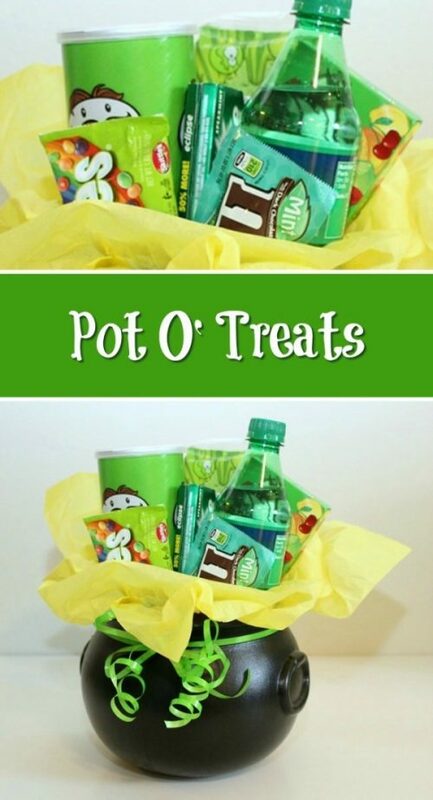 Below you will find a whole lot of nifty ideas to get you on your way to doing St. Patrick’s Day the right way. 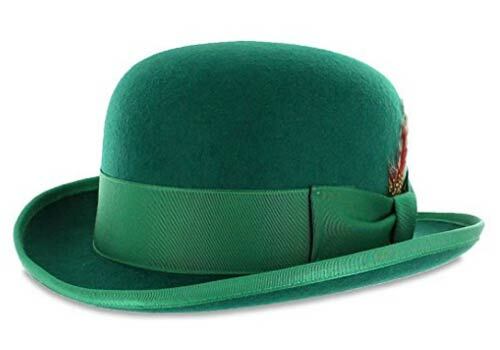 Whether you are throwing a grand party, redecorating your home bar in an Irish theme, or simply spreading Irish cheer, these are the St. Patrick’s Day gift ideas that will take your “wearing of the green” to a completely new level. Some of the products we feature below are affiliate links, in which we – at no cost to you – may get a small commission should you choose to purchase something. 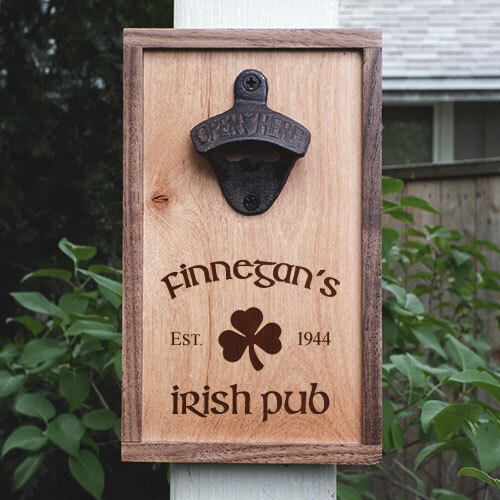 Crafted in Oregon from solid hardwoods and personalized just for you, this gorgeous wall-mounted bottle opener will literally help you celebrate St. Paddy’s Day as you pop top after top. 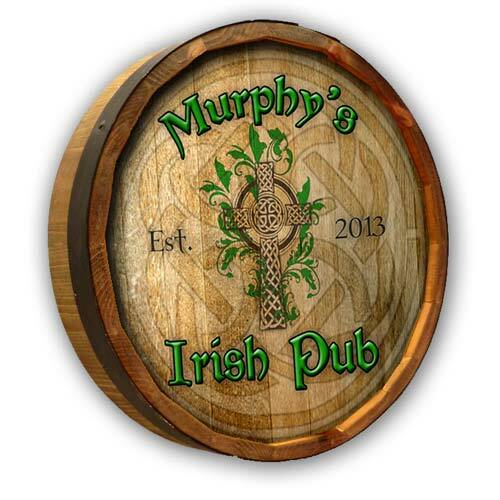 The opener includes custom laser engraving of your name and “year est” date over a classic Irish clover and the words “Irish Pub” in a traditional Celtic font. 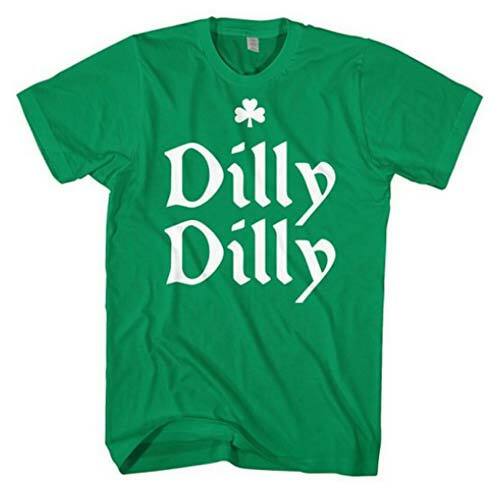 A great St. Patrick’s Day gift idea! This is just one of our Pacific Crest series of bottle openers. You can see all the designs here. Openers include themes ideal for weddings, anniversaries, retirement gifts, home bars, man caves, and more. 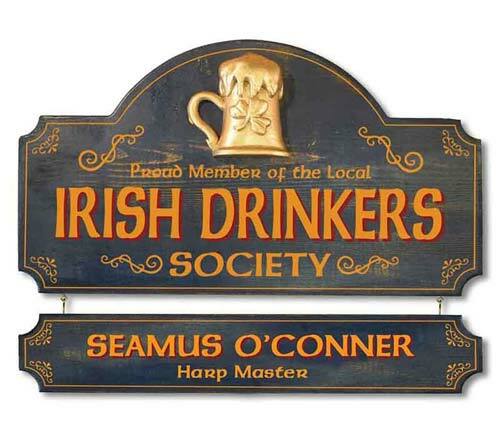 The signs comes ready to hang and includes a steel hoop with barrel staves along the side. With a colorful design including a background of swirling Celtic designs, this is a great Irish gift! 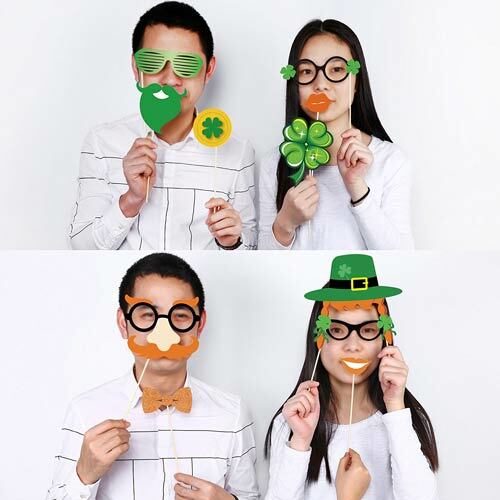 Spread your St. Patrick’s Day spirit across social media with an Irish-themed photo booth, complete with this fun 59-piece collection of Saint Paddy’s Day photo props. You have to wear some green on The Big Day. That’s a given. 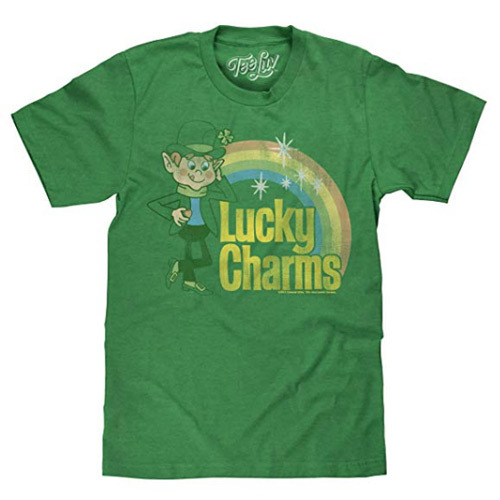 Add an extra touch of party spirit with an Irish-themed tee. 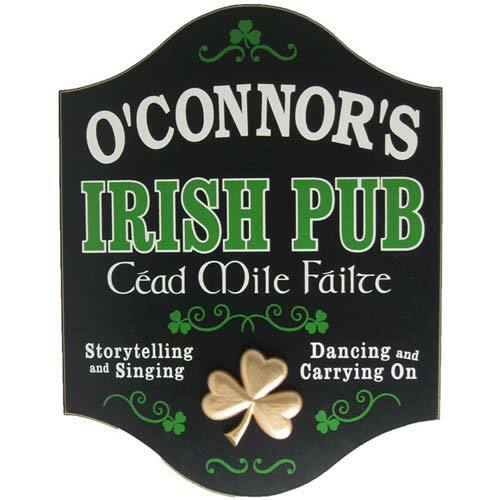 Tons of options and ideas are available here, from shamrocks to Irish humor and more. 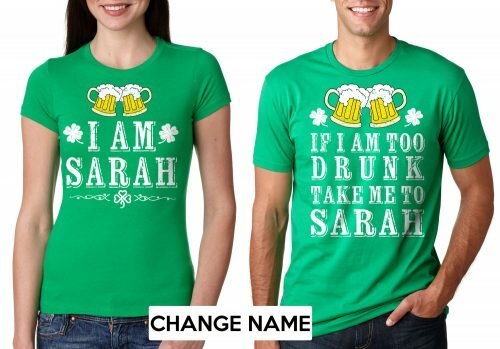 This clever couple’s set of matching Saint Patrick’s Day shirts shows the depths of your Irish spirit, commitment to each other, and penchant for getting drunk. Plus they’re personalized. 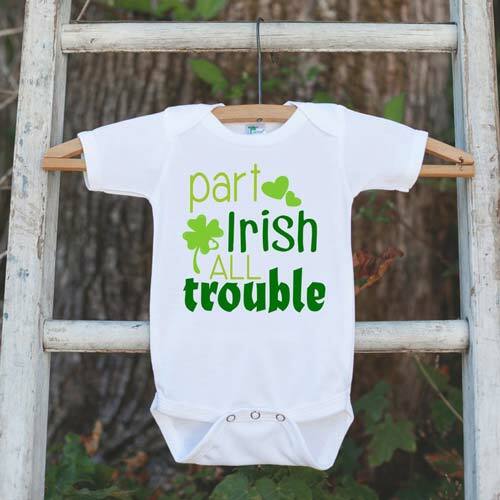 This adorable onepiece is perfect for your little one this St. Patrick’s Day. Don’t forget the pooch! 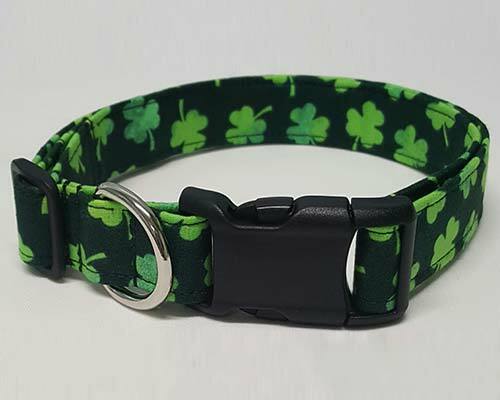 Your beloved pup needs a special collar to participate in the wearing o’ the green. Check out this collection of specialty Irish dog collars from The Purfect Pooch. You’ll want to wear this hat every day of the year. 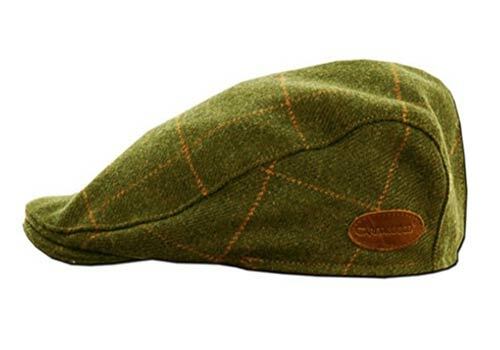 On St. Paddy’s Day, throw in a dapper gray vest and you have the traditional Irish men’s fashion down pat. And now for something a little less subtle…. OK, fine, it is a lot less subtle. You will definitely stand out from the crowd wearing this bright greed derby bowler hat, complete with feather. But that’s kinda the point, right? 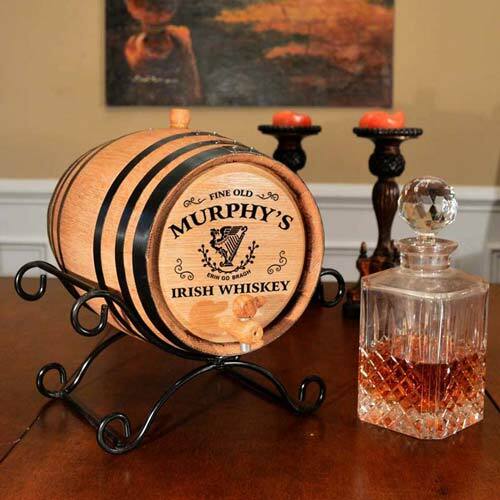 Serve up some home-aged Irish Whiskey in your own personalized oak barrel. 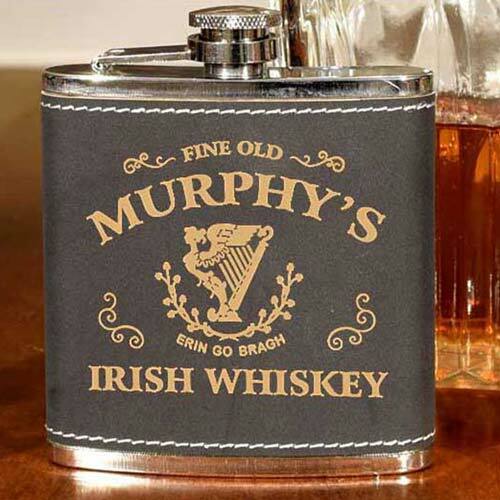 This is a great gift idea for anyone who loves whiskey and has a Celtic flair. Optional fancy wrought iron stand, includes all neccessary accessories and free personalization. Here is a true throwback! The old-school bar mirror can be yours, and personalized to boot. 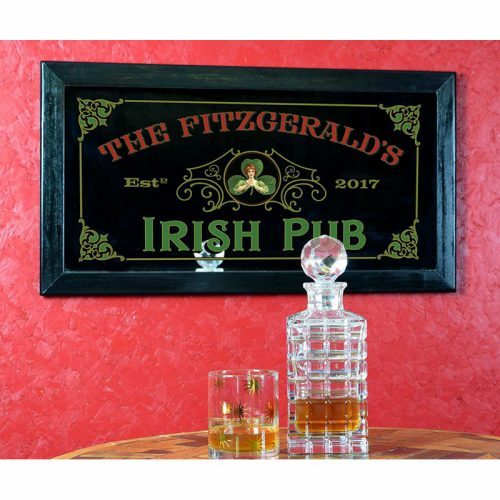 Solid wood frame, 1/4″ solid glass mirror, and free customization over a fun Irish Pub design. 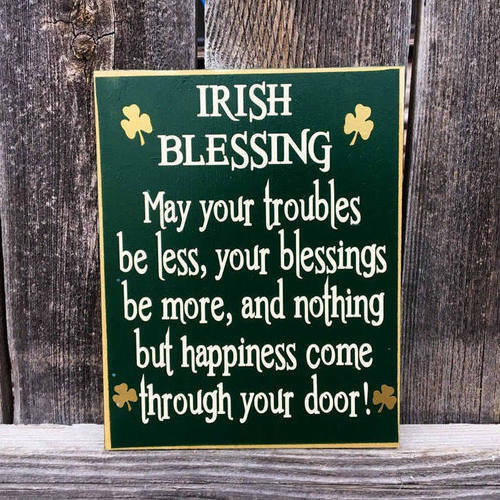 Your new-but-old St. Patrick’s Day mirror will reflect the Luck O’ the Irish alongside all the good times and good conversation you enjoy together with great friends and beloved family. Plus it will look great year-round. 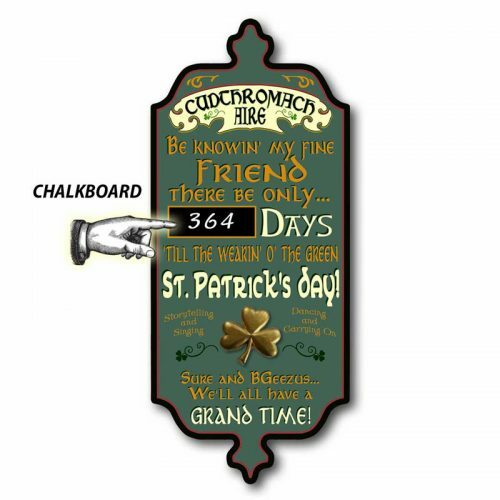 A classy vintage Irish decor sign that features a chalkboard to help you count down the days until the wearin’ o’ the green. 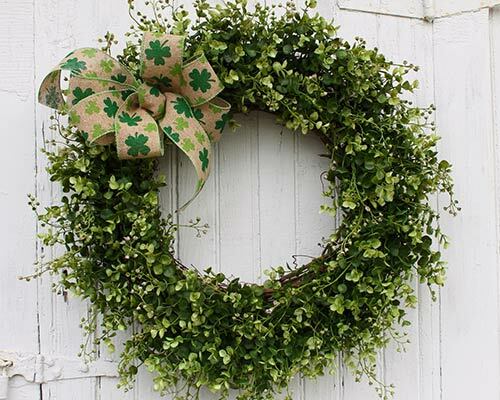 This festive St. Patrick’s Day wreath is accented with artificial boxwood, baby eucalyptus and a festive shamrock bow. 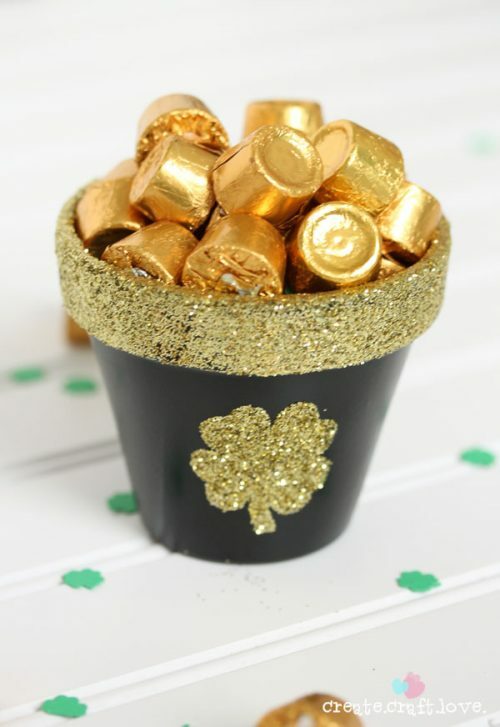 Grab a simple black cauldron or bucket from the dollar store (these may show up around St. Patrick’s Day and also around Halloween), and fill it with green treats for the kiddos. 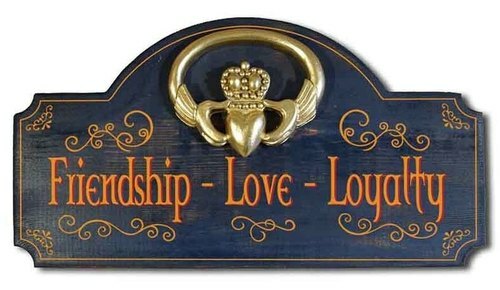 The Irish Claddagh ring is the symbol of friendship, love, and loyalty. In Celtic culture, the Claddagh ring’s heart has the classic meaning of love, the crown stands for loyalty, and the hands represent friendship. This vintage-style distressed wood sign is made in the USA and can include a personalized hanging name board. Put this on your drink table or bar and you’ll have your excuse all lined up. 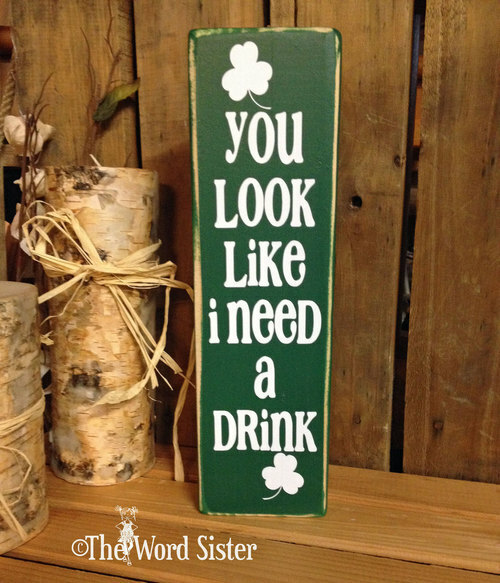 Here is one St. Patrick’s Day decor accent that will be in use all year long. The perfect Irish-themed gift has to be this wall mounted Irish Pub cap catcher that will collect all your beer caps. Plus it is personalized with your name! 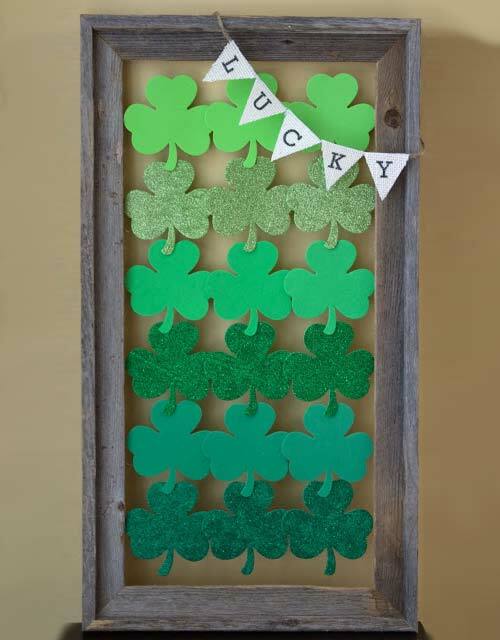 Rustic yet sprightly, this easy DIY Saint Patrick’s Day decor piece is easy to make with a nice old frame plus some shamrocks from a craft store. Plus you can easily swap out the theme as the holiday changes throughout the year.. empty tombs or decorated eggs for Easter, pumpkins for Halloween, Christmas trees for Christmas, etc. A leather-wrapped and custom laser engraved flask is the right old way to keep some Irish whiskey ready at hand, any time of the day or night. Includes personalization, available here. 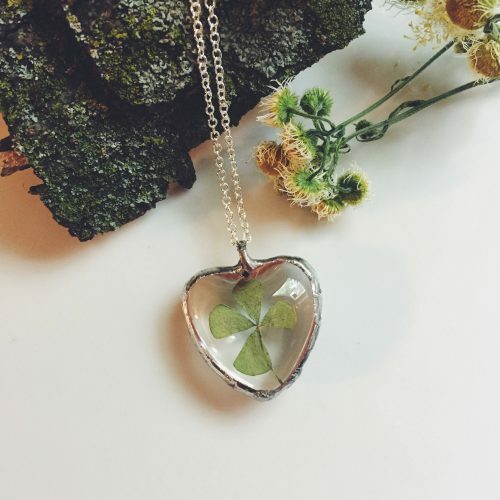 This handmade St. Patrick’s Day necklace features a real four-leaf clover embedded into the pendant. Creative, unique, fun, gorgeous, and – of course – qualifies for the wearin’ o’ the green. 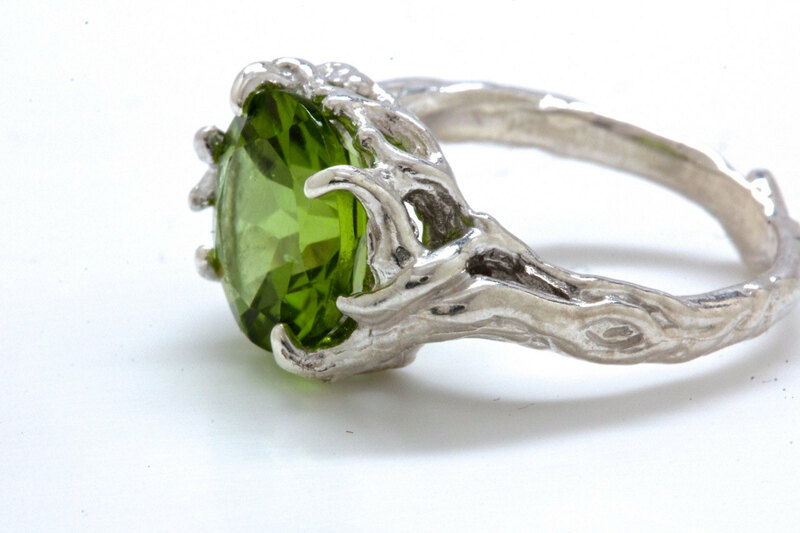 This stunning sterling silver peridot ring has a lovely tree branch feel, cast and carved by hand. Just one of many peridot jewelry pieces available for a very special St. Patrick’s Day gift – perhaps an engagement?!? Make it a night to remember! 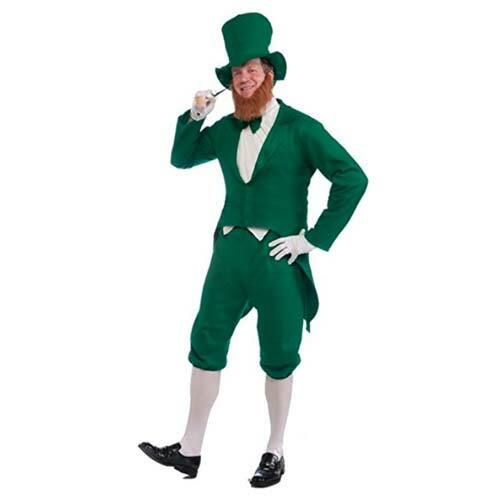 This fun leprechaun costume is child-sized and includes hat, bow tie, pants, shirt, and vest for your little one. Pot of gold and fake beard are separate. Same idea, but larger for adults. 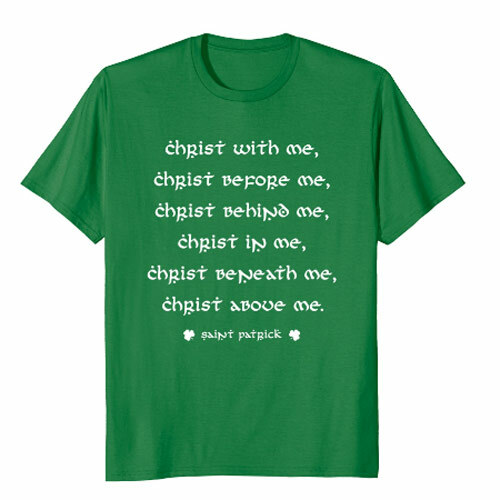 A prayer attributed to St. Patrick himself, the most famous lines of which read, “Christ with me, Christ before me, Christ behind me, Christ in me, Christ beneath me, Christ above me.” This t-shirt is a great St. Patrick’s day gift that gets down to the original inspiration for the holiday. The one and only. The original. Lucky Charms. Breakfast cereal of Irish champions. And leprechauns. And Irish non-champions. You know, regular blokes. And now an awesome t-shirt. The perfect way to wear green on St Patrick’s Day. 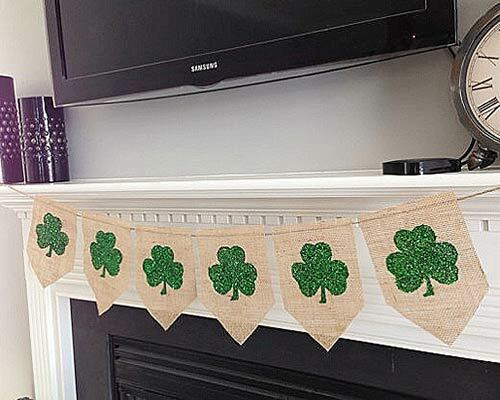 Dusted green glittery shamrocks adorn each burlap shield, making this bunting banner the perfect addition to your St. Patrick’s Day party decor. Get yours here. 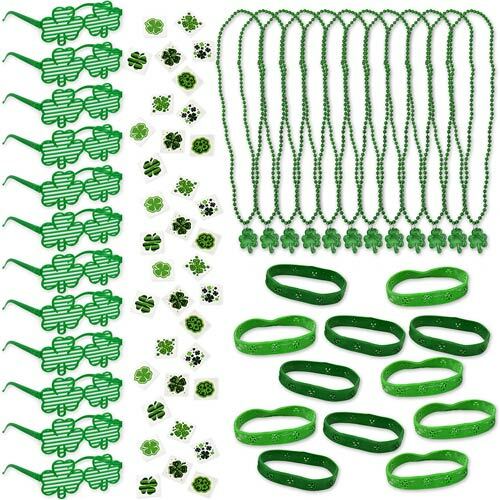 Shamrock themed party favors and accessories are perfect to help you create an epic Irish par-tay. Twelve people can get one of everything (necklace, shades, bracelet, tattoos) or for 108 people to each get one favor. It’s just math and awesome Paddy Bling. Sometimes it’s the little things that make or break your St. Patrick’s Day party. 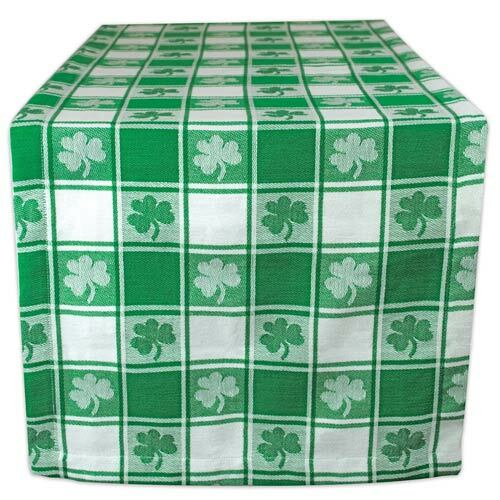 The simple touch of a colorful green shamrock tablecloth will completely transform your party decor. This one is very durable so you will be able to use it for many years to come. Machine washable, 100% cotton, spacious 14 x 72 size to fit just about any table. 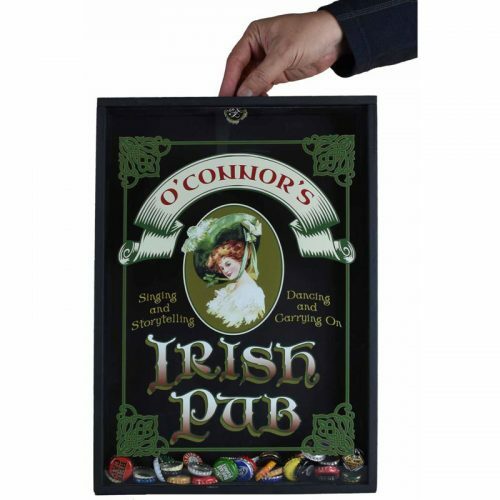 Table runners provide a more subtle, attractive touch if you are having a classy gathering in your home bar to celebrate St. Patrick’s Day. 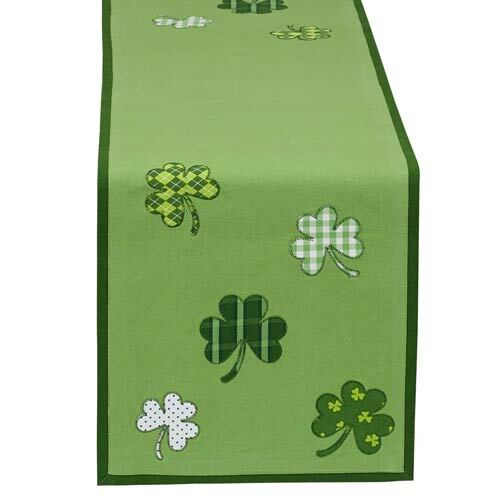 This green table runner with a decorative plaid shamrock design is the sort of home decor accent that you will enjoy using for more than just a day or two. 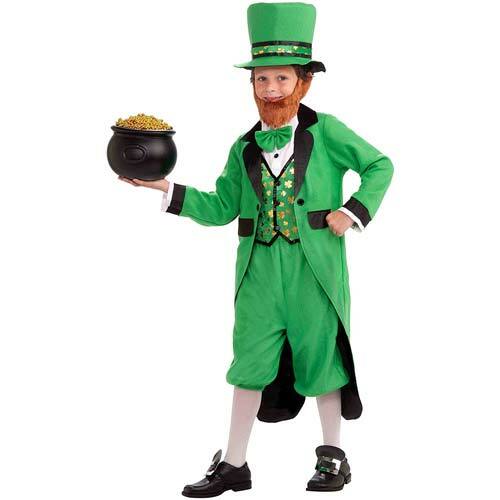 We couldn’t resist adding one more idea… Now this here is a fun variation on the classic leprechaun costume. 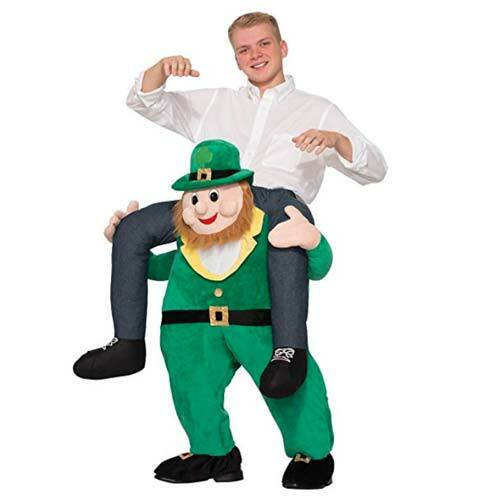 Show up for a St. Patrick’s Day party riding a leprechaun, and you will set the Irish cheer into overdrive. This outfit will be remembered and talked about long after.